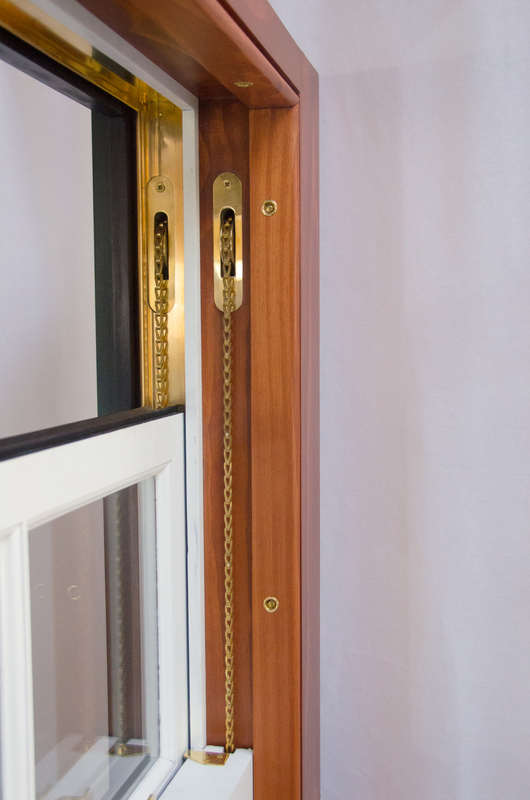 Right Path replicates weight and chain double hung windows, where the sash is counter-balanced with a chain and a pulley connected to steel weights. We use ball bearing sash pulleys with brass faceplates and solid brass pulley wheels with finished chains. The sealed ball bearings ensure many years of smooth operation. Sash locks and lift handles are also included. 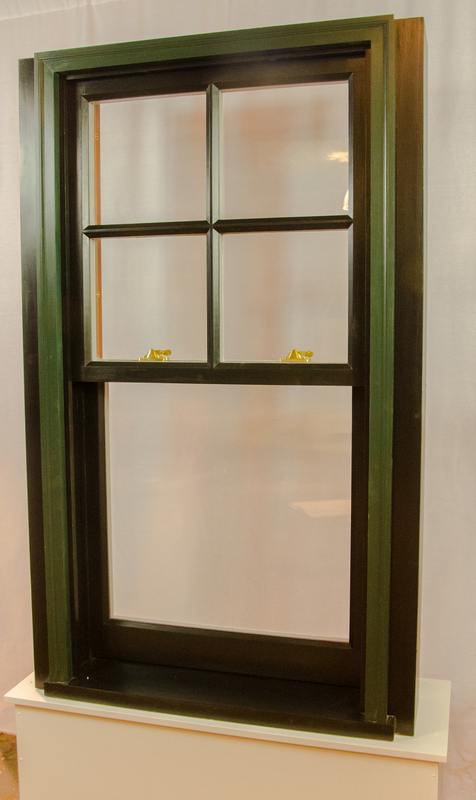 Right Path's weight and chain double hung windows are made to order and can be crafted to match the existing windows in a building or from an historic period.